We’ve had a rare but very lovely bit of sun over the last couple of days so we’ve taken complete advantage of it. 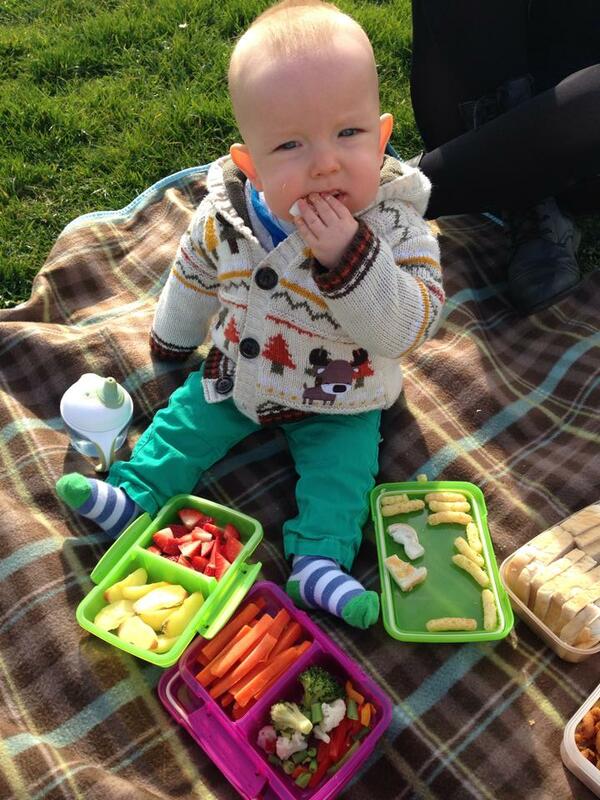 We’ve had a picnic on the green outside of our house with lots of yummy finger foods to experiment with. 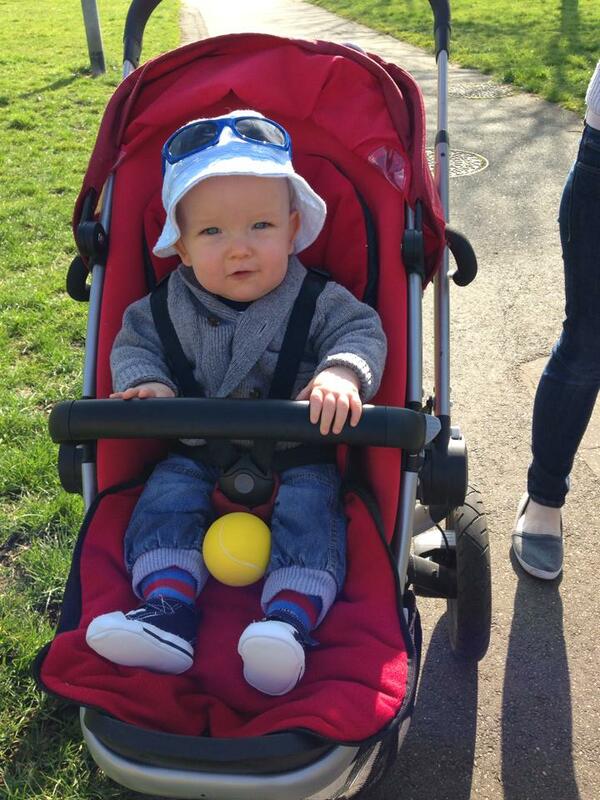 We’ve been for some lovely walks around where we live and of course we’ve been on the swings. 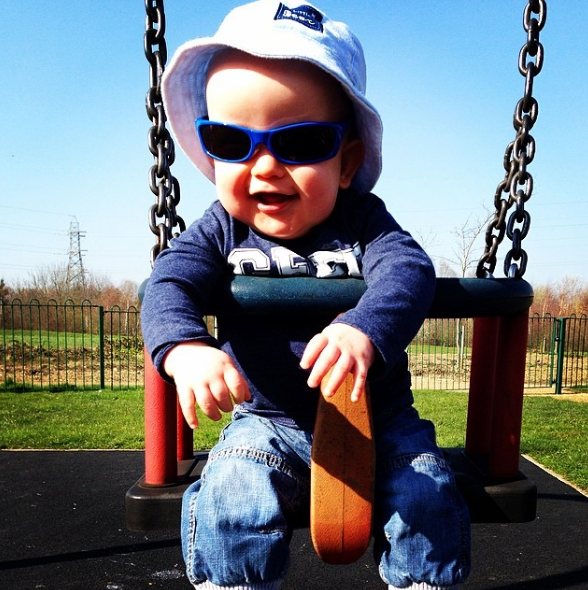 I think its safe to say the swings are his favourite things at the moment. He just lights up when he see’s them! It’s been so nice that we’ve actually been spending most of our time outside. 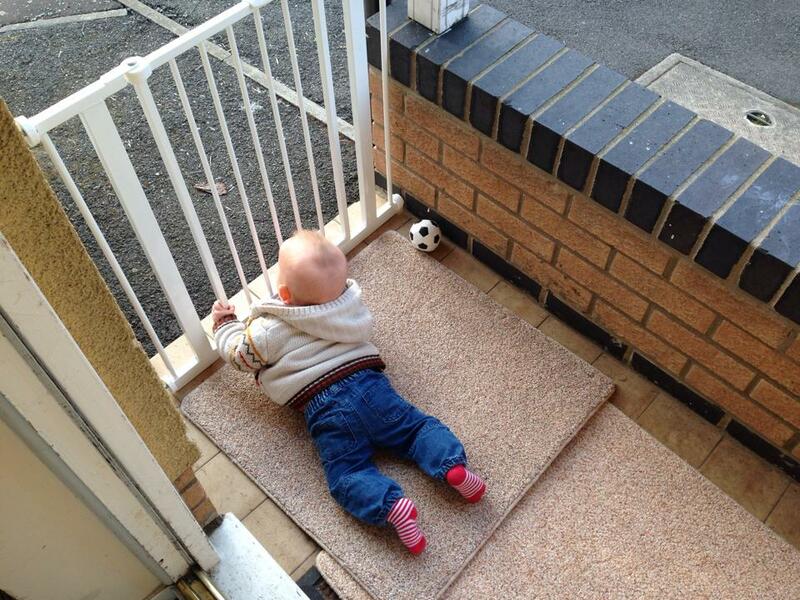 I even let him watch the world from the doorstep for a little while. He finds it absolutely fascinating and the neighbours children talk to him and make him laugh. It also means I get to drink a cuppa while it’s still hot. It’s the simple things! Calling time on baby making – Why we are stopping at three.